One of our favourite things about all the beautiful weddings here at the house is seeing how the couple style their aisle. 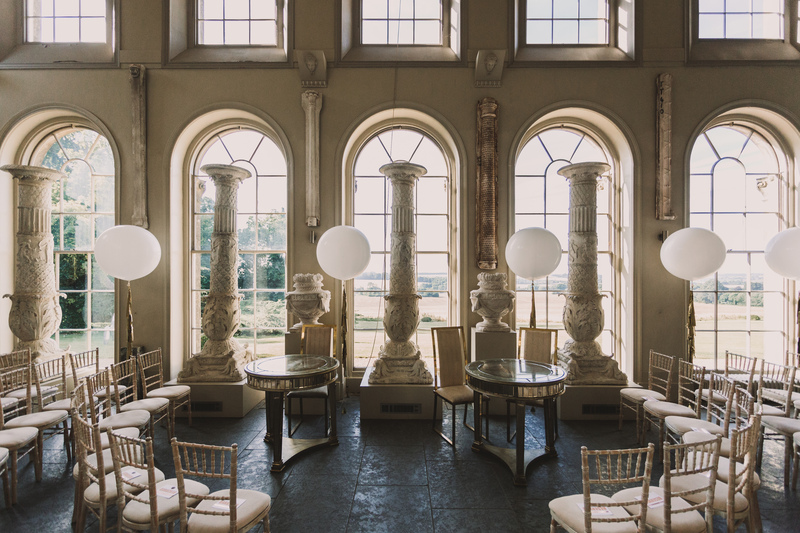 Whether it be in the Orangery, outside on the lawn or under the West Terrace – we see so many magical and unusual aisles. Here are our aisle idols! 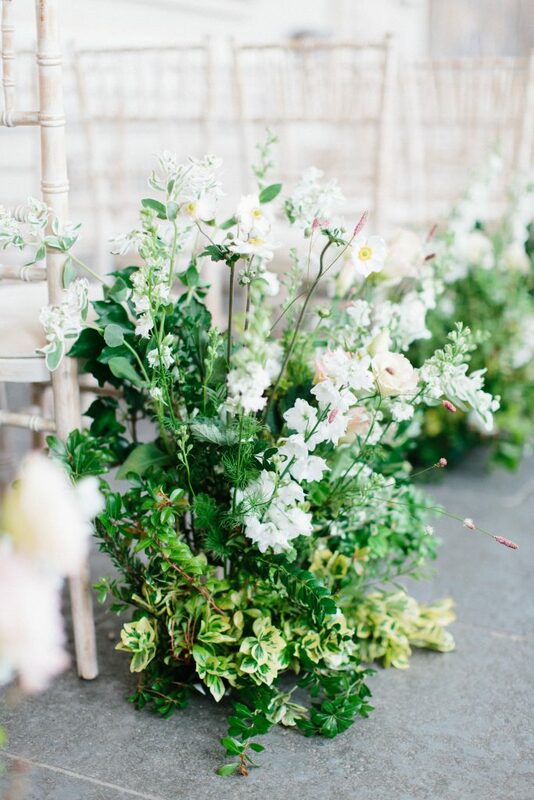 A floral flourish… we just can’t get enough of this beautiful floral aisle by Petalon Flowers in the Orangery – the perfect look for a spring wedding. Over-grown style aisle ends framed the runway to a stunning flower arch at the end of the Orangery. For those who don’t want to cover the Orangery in flowers – balloons are the perfect alternative! 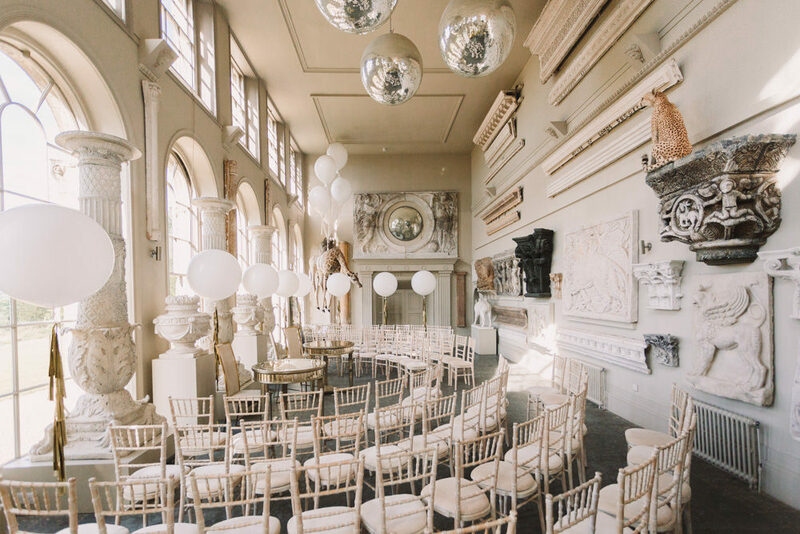 Here at the house our friends, Bubblegum Balloons are always creating different looks – whether it be a balloon ceiling, a balloon aisle or statement arrangement of large tassel balloons to add to the look. 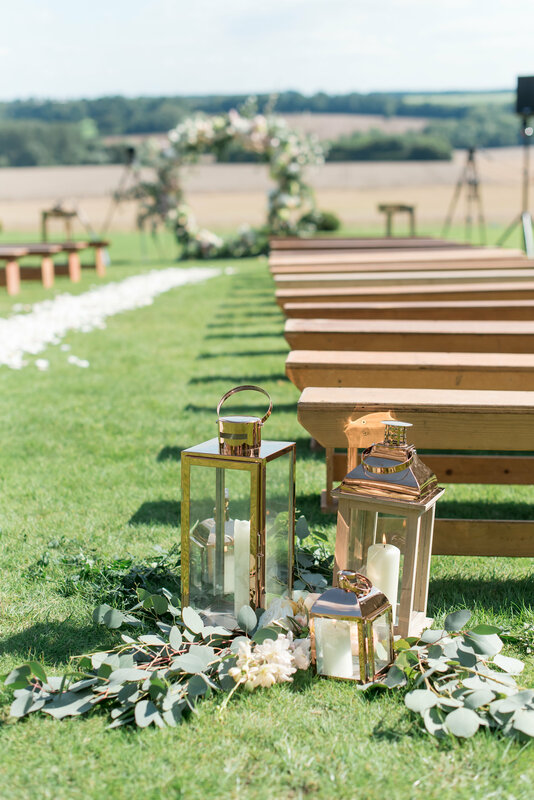 We love how the bride and groom created a semi circle of chivari chairs for their wedding ceremony to create a more intimate feel and to over look the park. Circular flower archs seem to have been the new trend this year. 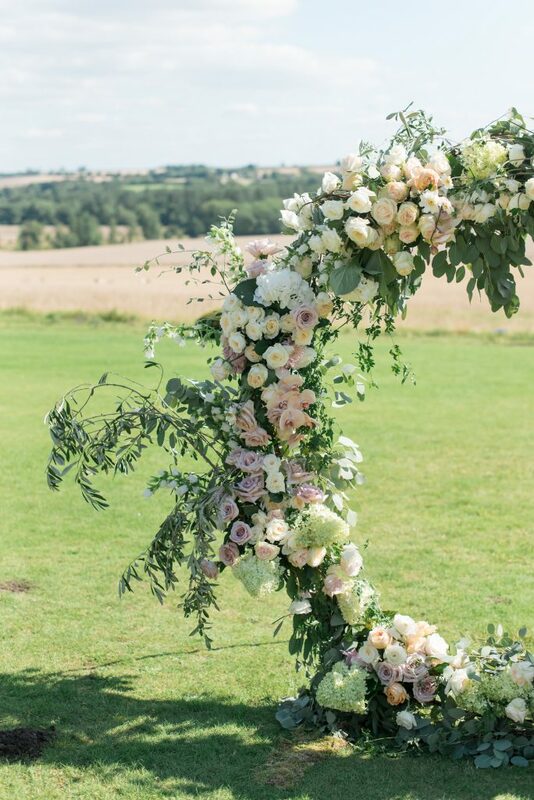 We are particularly in love with this beautiful outdoor aisle with a a floral circle arch by Studio Sorores. 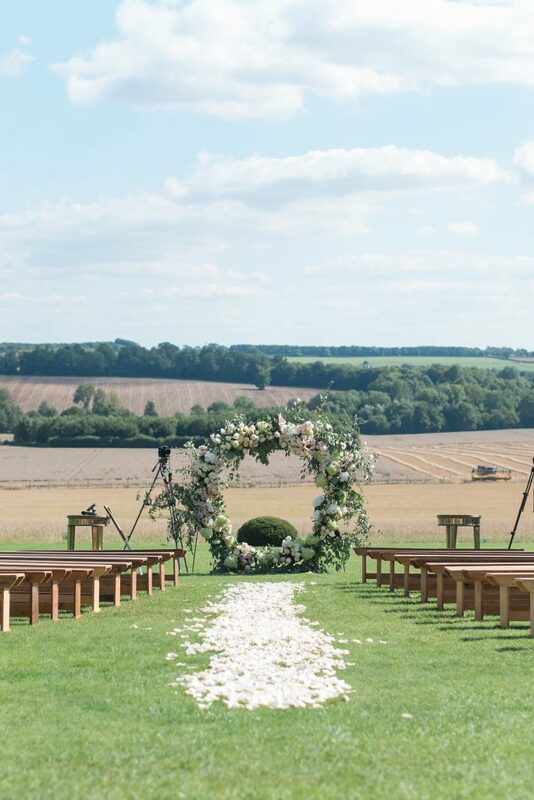 What better spot to walk the aisle than looking over the deer park and Capability brown landscape although the weather can be unpredictable this couple were particularly lucky to have the most beautiful weather making their day even more perfect! The wooden bench seating gives a countryside feel and works well with an uneven grass floor. 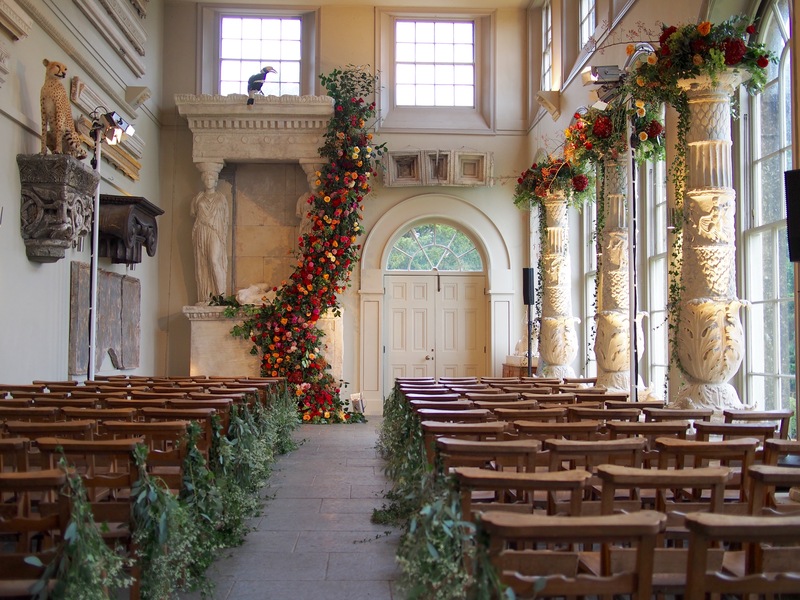 We are obsessed with this autumnal aisle in the Orangery by Jam Jar flowers – the wooden church chairs create a traditional feel with foliage bouquets tied to each end. The floral waterfall at the back of the room creates the most statement backdrop for the couple to exchange their vows. 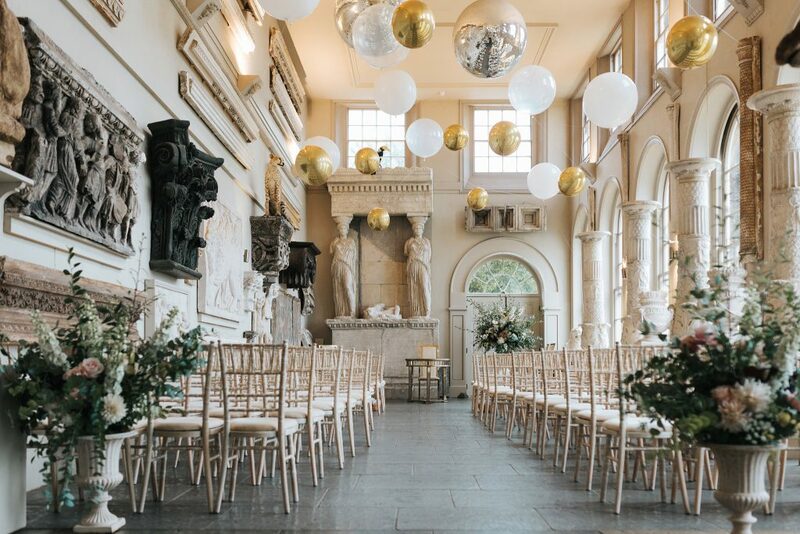 As mentioned, Balloons work really well especially with the high ceilings of the Orangery – nothing works better than a balloon ceiling by Bubblegum Balloons. 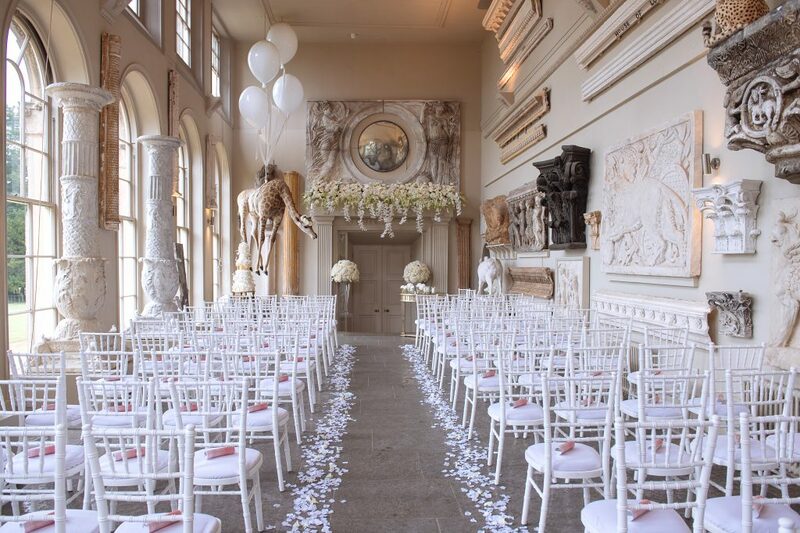 We love how this bride and groom has opted to mix florals by Scarlet & Violet and balloons to create a timeless look of neutral colours with highlights of gold. As the wedding day moves into night, the balloon ceiling creates a wonderful party look – have your first dance under the ‘starry balloons’. 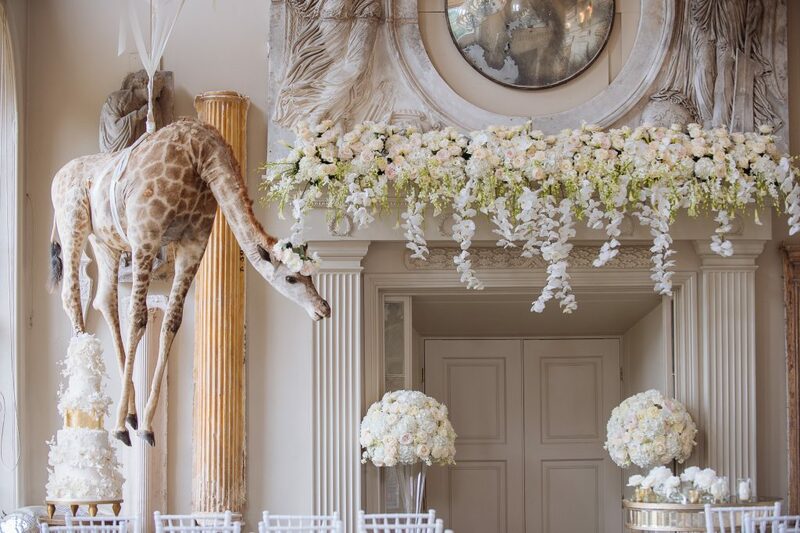 What better wedding witness to have than a flying giraffe…this is one of the first wedding ceremonies we have seen who have decided to face the chairs towards the giraffe and what a good idea! 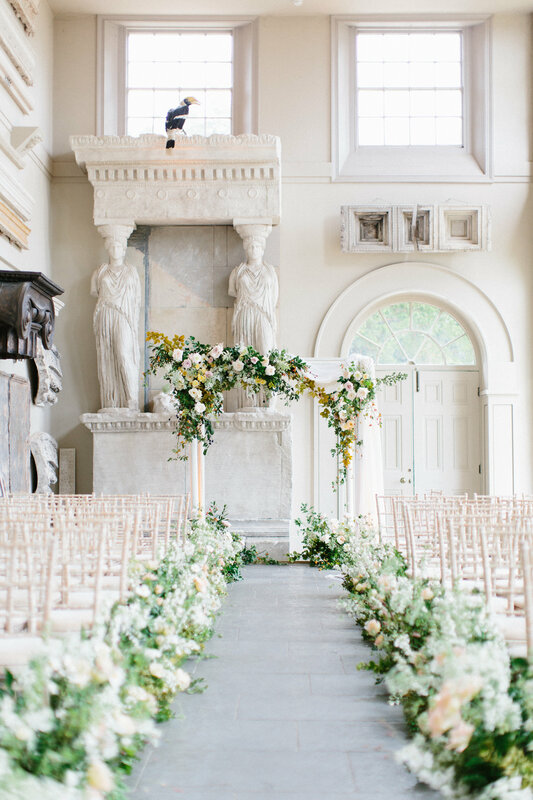 With white chivari chairs, all white florals cascading by Paula Rooney from above and and a towering ivory and gold wedding cake by Krishanthi – this is such a sophisticated aisle style.